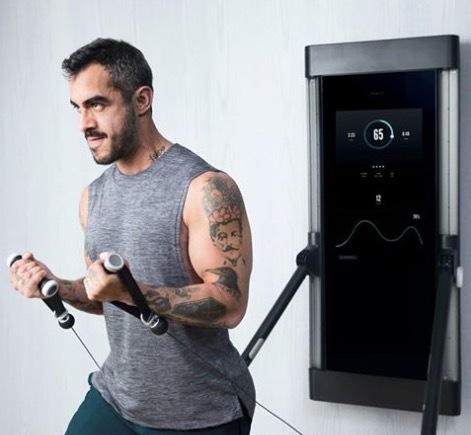 Tonal, a San Francisco-based intelligent fitness system, announced it has raised $45 million in Series C funding led by the Growth Fund of L Catterton — which is the largest consumer-focused private equity firm formed through the partnership of Catterton, LVMH and Groupe Arnault. New investor Evolution Media and existing investors Shasta Ventures, Mayfield, Sapphire Ventures, and Serena Ventures (venture firm of Serena Williams) also participated in this round. Including this round, Tonal has raised $90 million. What does Tonal do? The company establishes the only on-demand personalized strength-training system. And with this round of funding, it will fuel the company’s growth after its recent expansion of delivery to all 48 contiguous states. Tonal uses intelligent technology, expert coaching, and personalized guidance to help users become stronger. This is like having a gym and a personal trainer in your home. With the system’s electromagnetic resistance, it creates digital weight — which allows users to do every leg, arm, shoulder, back, core, and chest exercise with one piece of equipment. Tonal monitors the quality of every rep, adapts guidance, and measures progress in real-time in order to take the guesswork out of strength training. And it is the first fitness system to offer the kind of personalized science-based training that is typically reserved for professional athletes and celebrities. This funding round will also position Tonal to further invest in its supply chain, distribution, and artificial intelligence talent. Plus it will also be used for recruiting and operational efforts especially in the areas of personalized software experiences, new content modalities, retail and marketing investment, and recruiting and operations expansion. “There’s nothing more important in life than health, and the most exciting aspect of my investment in Tonal was not just the opportunity to help grow the next great connected fitness brand, but the opportunity to help people get stronger, healthier and live better lives,” explained Serena Williams. Prior to launching Tonal, Orady was an executive at Minna Labs, Mayfield, Samsung, and Pano Logic. As the founder of Pano Logic, Orady served on the board of directors and filled a broad array of roles including product management, business development, and manufacturing operations. A Tonal machine retails for $2,995 ($49 per month). And Tonal offers users access to personal training sessions and workouts.